In Spring 2015 I was scrolling through my Facebook feed and saw that John Tiedemann (a fellow UW-Madison alum) had shared a link for WRIT Large, a student publication from the Writing Program at the University of Denver. John is a teacher whom I’ve always admired and his enthusiasm for his students’ work piqued my curiosity, as did the photo thumbnail of the cover. It also caught my attention because it just seemed like such a cool way to showcase and celebrate student writing. 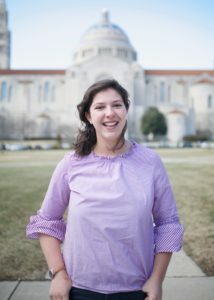 Taryn Okuma is Associate Professor of Practice in the English Department at The Catholic University of America and serves as the Director of the Writing Center Undergraduate Tutor Program and Faculty Editor of _Inventio: The Undergraduate Research Journal of The Catholic University of America_. At the time, I was just wrapping up the second year of directing the new Writing Center Undergraduate Tutor (WCUT) Program at Catholic University and was advising some of our tutors as they submitted their research projects for presentation at the National Conference on Peer Tutoring in Writing. The experience of working with students in the WCUT program was invigorating, in part because I otherwise was teaching undergraduate literature courses, very few of which required students to conduct independent research. Although I was theoretically aware of the astonishing variety and the high quality of undergraduate research being conducted across campus, I had little direct access to it when I was working primarily in the literature classroom. Mentoring tutors majoring in Psychology, History, Musical Theater, and Philosophy, among others, put me in contact and dialogue with students who were working not only on their Writing Center research, but their Junior and Senior thesis projects, Capstone papers, and more. My primarily theoretical understanding of student writing across the disciplines is one that I think many faculty members share here on campus and, I would imagine, at many other universities; outside of the writing classroom and the writing center, unless you teach in highly collaborative and interdisciplinary programs, it can be difficult to come into regular contact with student research outside of your home department. This is one of the many gifts of writing center work: teaching and tutoring in a writing center provides you with greater exposure to the writing culture at large. 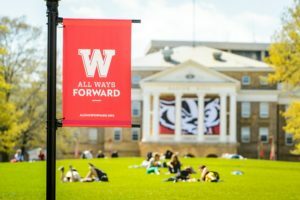 It is something that our undergraduate tutors and graduate instructors benefit from, and that my colleague Kevin Rulo (Director of the Writing Center) have worked hard to convey to faculty across campus. If only there were a way to make student writing and research more visible, to both students and faculty…. Reading through WRIT Large, I thought, “Why don’t we have something like this at Catholic?” The idea of a student publication showcasing student writing was extremely inspiring. I spent a few weeks doing some research into undergraduate writing magazines and research journals and ended up submitting a proposal for a multi-disciplinary undergraduate research journal in the humanities. 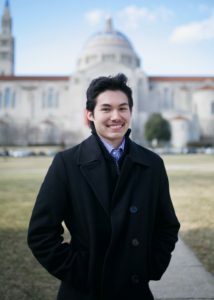 Inventio: The Undergraduate Research Journal of The Catholic University of America is currently in its fourth year and, in my mind, it is another creative example of how writing centers can not only shape a university’s writing culture, but provide active leadership in its evolution and transformation. Obviously, Inventio exists because of institutional enthusiasm and support for its work, but it is also true that it materialized because of the relationships built through work in the writing center and, on a more fundamental level, as a result of my awareness of the gaps and the opportunities that exist in the university’s support for student writers. Time spent establishing working relationships with departments and programs across campus during my tenure as WC Director and then as I sought to recruit students for the WCUT Program made it clear to me that there were many stakeholders who would support such a publication. In terms of procuring content, working with the History Department, for example, to support their Junior and Senior seminars through the writing center exposed me to how well-trained their students are in conducting research, as well as the emphasis their faculty place on mastering the generic conventions of writing in their discipline. I also heard from WCUT fellows each year that one of the most rewarding things about working in the writing center was that it actually gave them the chance to read work from students outside of their major and that it was inspiring for them to see what other students were writing. However, not everyone can work in the writing center (though wouldn’t it be wonderful if they did? ), and so student publications can be a great way to bring an experience of diverse student writing to readers and writers outside of the center. Logistically and organizationally, Inventio has greatly benefitted from the example of the Writing Center. The training for the Student Editorial Board is modeled after the training that Writing Center Undergraduate Tutors receive. WC tutors enroll in ENG 328: “Writing Center Theory & Practice”; UGS/HSLS 328: “Undergraduate Research Journal Production” is a three-credit course that explores the field of academic publishing and devotes time to the practical work of assembling and promoting the journal. The experience of designing and teaching a course like ENG 328 challenged me to think beyond the literature courses that I generally teach in order to find ways to create a practicum that would best serve our tutors. The same non-traditional approach to the academic classroom serves the members of the student editorial board as they explore, though hands-on experience, careers in academic publishing, editing, and graphic design. I have also found that working with tutors has been great practical preparation for working with a student editorial board, in that such work for the journal requires a balance of mentorship, leadership, and collaboration. As a faculty editor, my primary responsibility is to guide, rather than to direct. Learning to support undergraduate students in their roles as WC tutors has helped me to better understand how to empower students to do independent work and challenge themselves. Peter Varga (Psychology ’19), Inventio 2018-19 Co-Head Copyeditor and Citations Editor, returning tutor in the University Writing Center. Photo credit: Elizabeth Rich. Danielle Schirripa (Philosophy ’19), Inventio 2018-19 Editor-in-Chief and new tutor in the University Writing Center. Photo credit: Elizabeth Rich. 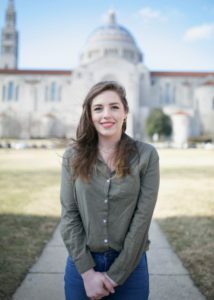 Rachel de Rosset (English ’19), Inventio 2018-19 Co-Head Copyeditor and returning tutor in the University Writing Center. Photo credit: Elizabeth Rich. As a result, the Writing Center has also benefited from its relationship with Inventio. Journal contributors are encouraged to visit the writing center as they work on revising their manuscripts or learn to convert their citations to meet journal guidelines. Members of the student editorial board are introduced to the Director of the Writing Center when he visits the course as a guest who can provide valuable insight to the logic of The Chicago Manual of Style and how to provide productive editorial feedback on submissions. And although there is no formal organizational tie between the WC and Inventio, there is fruitful cross-pollination of staff due to the fact that individuals with a strong interest in student writing are drawn to both the center and the journal. As WC tutor and Inventio Co-Head Copyeditor Rachel de Rosset (English ’19) notes, “I would say is that both are interested in good writing—in and of itself—in addition to improving writing. I think that, in different ways, both the journal and the Writing Center are encouraging to students and help student writers to develop confidence.” The inaugural Editor-in-Chief and Managing Editor of Inventio were both WC tutors and this year, the returning Editor-in-Chief Danielle “Elle” Schirripa (Philosophy ’19) is beginning her first semester in the WC. Each year, there is also significant overlap between Inventio’s copyediting staff and the roster of WC tutors, as each context allows students to exercise different writing muscles. Students have also capitalized on this relationship and have taken the lead in developing new initiatives that benefit both the WC and the journal. This semester, our Co-Head Copyeditors, Peter Varga (Psychology ’19) and Rachel de Rosset (English ’19), who both joined Inventio as WC tutors, are spearheading a project in collaboration with the WC to develop and produce a series of online videos instructing journal contributors in Chicago Style citation methods. 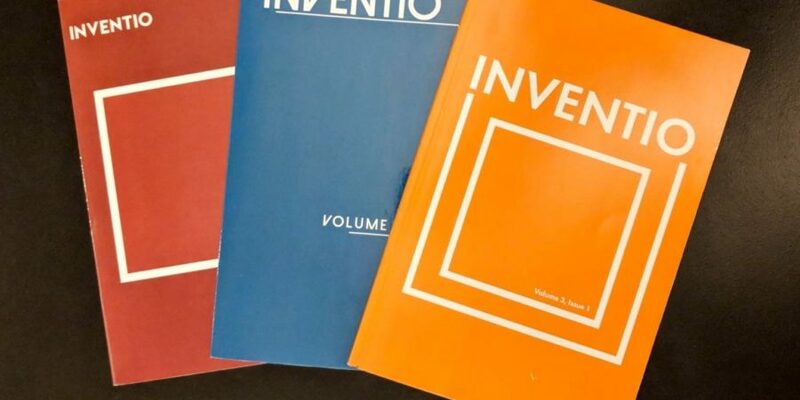 At this early point in Inventio’s history (we are currently preparing to put together our fourth volume in Spring 2019), we are still finding new ways that the journal can make meaningful contributions to the writing culture here at Catholic University. It is evident, however, that by working closely with the Writing Center, we can have a wide impact. For Elle, who was initially connected to the WC through her work with Inventio, her experience with both has been illuminating: “I think both the WC and Inventio make writing approachable. The WC helps to do this by providing help and support to students in their writing. Inventio, I think, makes writing approachable in a much stronger way because the publication exists to showcase the work of undergraduates. This not only makes writing more approachable; it makes writing more attractive….Students see peers as published authors and hopefully can see themselves in that role too.” In sharing the “story” of Inventio, I am eager to hear and learn from others who have worked with student publications. What initiatives have been successful on your campus that link student publications (formal or informal) and the Writing Center? What is the nature of the relationship between your Writing Center and student publications at your institution–how do formal and informal relationships benefit each? How has working with a student publication informed your practice in the Writing Center and vice versa? The 2017-18 Inventio Student Editorial Board. Photo credit: Elizabeth Rich. *Featured photo credit: Isabel Vander Bleek. Thanks for sharing this story, Taryn (and for the WRIT Large shoutout!). I’m delighted by the success and longevity of Inventio, and just so impressed by the quality of both the student writing _and_their editorial work, not to mention the broad and diverse impact Inventio is having on the writing culture there. I’ve increasingly come to believe that the future of instruction in undergraduate writing resides in developing a culture of undergraduate _publishing_. The work you and your students are doing at Inventio demonstrates why. To your questions: I’ll add that an additional value of a WC-based student publication lies the various ways that the material therein can be taken up in the classroom, in particular (though not exclusively) the writing classroom. I often use pieces published in WRIT Large pieces as examples for my current students, and encourage them to submit, too. It shows the students what they can shoot for in their own writing, and situates them in real writing situation, with real stakes and possibilities. Thank you for this wonderful piece and for your incredible and tireless work, Taryn! As the current Director of the Writing Center at Catholic U., I’ve seen firsthand the impact that Inventio has had on students and faculty here. It’s made everyone on campus more aware of student writing and of students as writers. For instance, I’ve been using essays from Inventio as examples in our in-class workshops. I am happy to volunteer that this marvelous idea came originally from the faculty, not me. That the faculty would look to student writing as models for discussion and practice in their classrooms is such an encouraging development and it is a direct result of the journal’s influence. For the students, too, it has changed the dynamics positively. Seeing published work by their colleagues and peers, students encounter writing not as some abstract scholarly ideal that they can hardly attain but as something that they might be able to do, as something “approachable” and even “attractive,” to quote Elle. We talk so often about the student writer and how so many students don’t see themselves as writers. The presence of the journal changes the optics for our students and helps them to see being a writer in a totally different light. That cannot help but have a profound effect on the work that we do in the Center. The creation of Inventio and the way you’ve consciously fostered collaboration between the journal and the Writing Center has led to these significant, meaningful changes in our writing culture. What an inspiring post, Taryn! I am particularly struck by the idea of the journal production course as a way to guide the process–and learning experience–of the student editors. There are quite a few student publications on my campus, none of which currently have formal and informal partnerships with our Writing Studio…yet! Beginning that sort of partnership is something I’ve been pondering for a while, but this post and the comments above have all given me a major nudge in that direction. Thank you! I love the rich trove of ideas here! Thanks so much for the enormous amount of work involved in this project, and for inspiring more such ideas at WCs and undergraduate programs! Great post, Taryn. Thanks for reminding us of the role that writing centers can play in supporting undergraduate student research *and* publication. The fruits of “cross-pollinated” staff (e.g., online instructional videos on CMS citations) is especially inspiring and will certainly benefit more than the primary audience (ugrads preparing journal submissions). And thanks for the reminder about how important and worthwhile such efforts are in shaping cultures of writing across campus when they are focused on improving students’ learning experiences. That certainly sounds like the most meaningful way writing centers will continue to make a lasting difference. The fact that such experiential learning, or high-impact practice, or whatever you call it, is also preserved (archived) in a student publication sounds like solid evidence, or at least a trace, of the impact that we hope our writing centers have. Thank you for writing this, Taryn! For four years I served as editor for an undergraduate journal called Fresh Writing, which featured exemplary writing of first year students at Notre Dame. It was a wonderful experience for all of us involved in the publication–including several ND Writing Center tutors who served on the editorial board and the four tutors who served as assistant editors, doing the bulk of the editorial heavy lifting. While I was happy to know that serving in these roles was obviously a wonderful professional development experience for the tutors, it never occurred to me to take that professionalization to the level you’ve achieved with Inventio. I’m very interested in learning more about the journal production course. This seems like an amazing opportunity for the editorial staff to develop lasting skills—and credentials—to help them enter the publishing world, a career path that many writing center tutors are interested in pursuing. 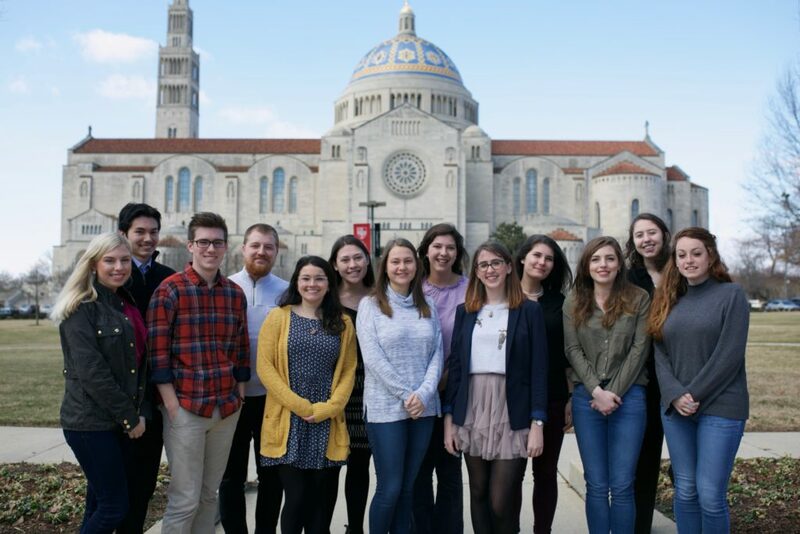 At ND, Fresh Writing has since expanded its reach and scope under the leadership of the current editor and is now published online (Check it out if you’re interested! https://freshwriting.nd.edu). I’ll share your post with the current editor and talk about the possibilities. Thank you for this! Taryn, this is such an exciting partnership! You have inspired me to think about how our Writing Center might sponsor or become involved with a publication of student writing at Madison College. We have less time with our students than you do — usually only two years — but our students are still doing lots of interesting work. As far as I know, our institution has a literary journal, but no venue for students to publish academic research. My wheels are turning–thanks! !